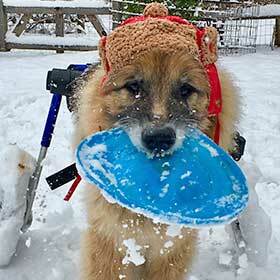 Walkin’ Pets by HandicappedPets.com offers an opportunity to give your clients’ pets a new lease on life. Join the growing number of veterinarians and rehab professionals who use our Referral Program to offer a unique mobility solution to their clients and receive a referral commission. 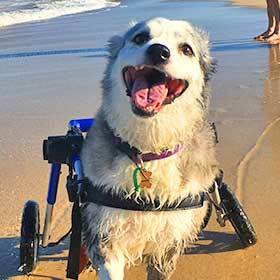 Additional benefits include a free listing on our website as an approved pet professional, and complimentary print materials for your office waiting room about products to help care for disabled, aging, or injured pets. 1. 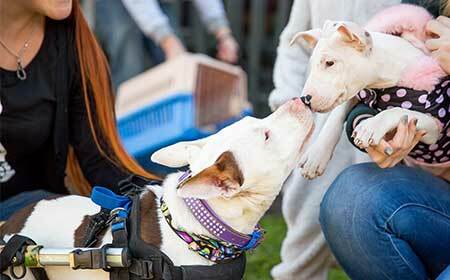 Register for the Veterinary Referral Program. 2. 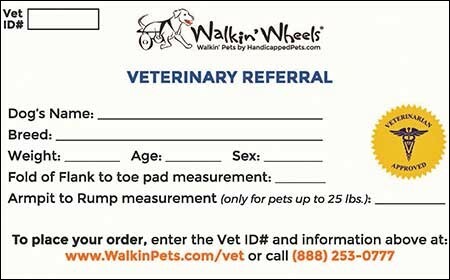 Write a referral for your clients for a Walkin’ Wheels adjustable dog wheelchair (see referral pad below). 3. 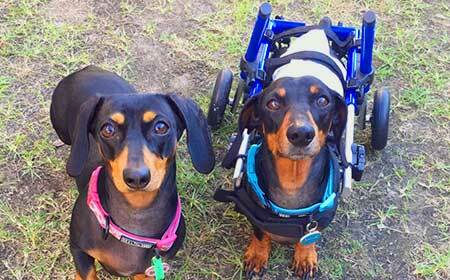 Receive a referral fee of 20% of the cost of the wheelchair when it is purchased (some vets also charge a fitting fee). Thank you! Our Veterinary Outreach & Support department will contact you about your free website listing and to discuss what complimentary print materials you would like for your waiting room.